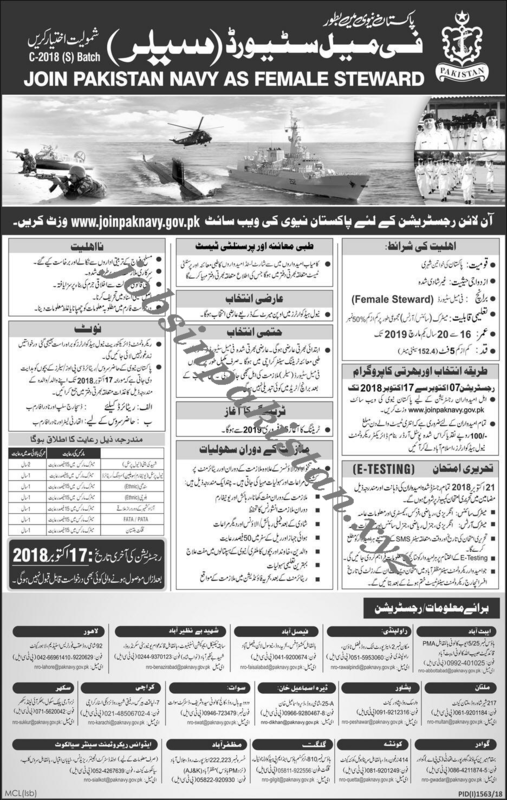 The advertisement for Joining Pakistan Navy as a Female Steward has come on newspaper of 07 October 2018. The last date for Joining Pakistan Navy as a Female Steward is 17 October 2018. For online registration for Pakistan Navy Jobs 2018 visit Pakistan Navy official website. Join Pakistan Navy as Female Steward in Batch No C-2018 (S).